At Open Arms we believe that God still speaks to us today through His written Word. 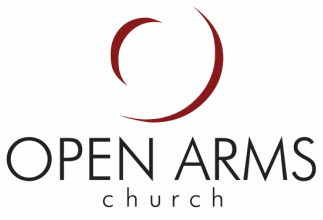 These are the most recent messages from the preaching ministry of Open Arms Church. "Christmas & New Year Reminder"
"Getting Up and Moving On from Our Past"
"Gathering Fruit For Eternal Life "
"The Father is Seeking . . . "
"Protecting our Hearts from Envy"
"Look and See How Much God Cares for You"
"Behold the ﻿Lamb ﻿Lion of God"
"Stone Jars Filled with Life"
"How Can I Know God"
"Godliness With Contentment is Great Gain"
"Our Work Matters to God"
"The Result of Knowing Jesus"
"Serving is more about WHO God has made us than about WHAT we do"
"The Heart and Home of a Trustworthy Pastor"